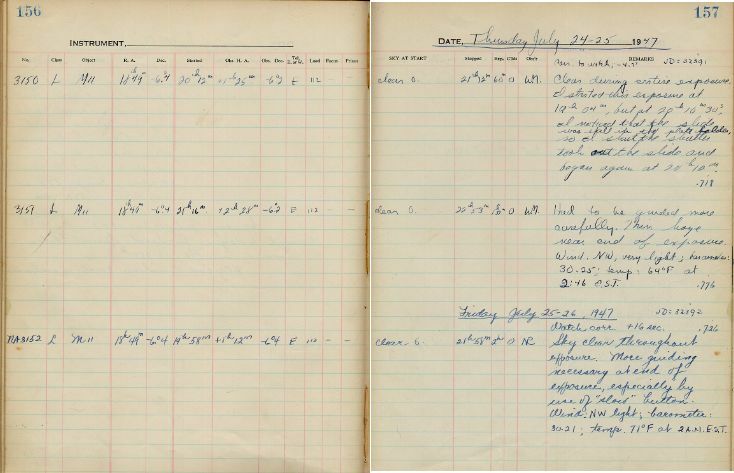 Log book recording the first exposure Nan Dieter Conklin took by herself. 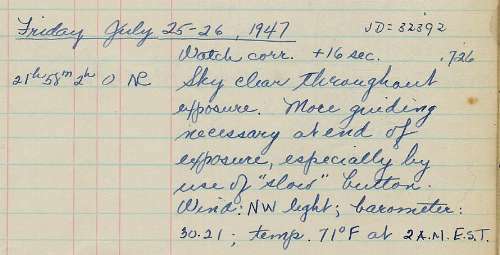 Entry is at the bottom of the page, dated Friday July 25-26 1947, and carries the initials NR (joined together). Credit: Peter Boyce and Maria Mitchell Association. Detail of log book recording. Credit: Peter Boyce and Maria Mitchell Association.